U.S. National Security Adviser Tom Donilon shared Washington’s contingency plans for a possible attack on Iran with Israel’s PM, according to a senior American official. The U.S. national security adviser has shared with Prime Minister Benjamin Netanyahu the United States’ contingency plans for a possible attack on Iran. According to a senior American official, National Security Advisor Tom Donilon briefed Netanyahu on the plans during Donilon’s visit to Israel two weeks ago. 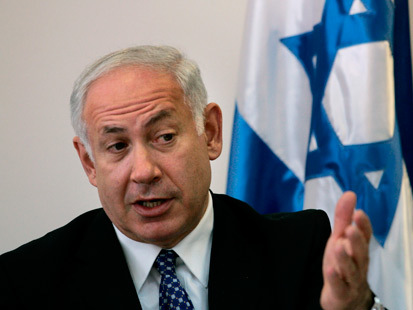 According to the official, who requested anonymity, Netanyahu hosted Donilon at a three-hour dinner. For part of the time, Israel’s national security adviser, Yaakov Amidror, was on hand. Donilon sought to make clear that the United States is seriously preparing for the possibility that negotiations will reach a dead end and military action will become necessary. He said reports of such preparations were not just a way to assuage Israel’s concerns. Most likely they'll wait till AFTER the elections but you never know, do you?